After participating for over eleven years in urban church planting in the Midwest, Jason and his wife, Heather, moved their four children to Greenville, SC, with a desire to train men and women at Bob Jones University for multi-ethnic ministry. Jason and Heather were blessed with two more children while in Greenville. 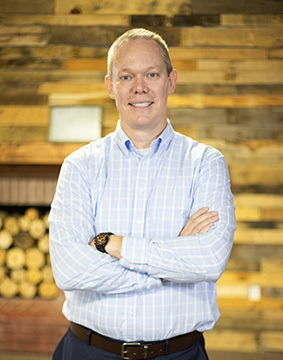 Once adjusted to his new role as a professor at BJU, Cornerstone Baptist Church extended a call to Jason to serve on staff as pastor of outreach and discipleship beginning January 2008. Jason’s heart continued to grow for church planting when he accepted the call to start Palmetto Baptist Church in 2010. He serves as the Pastor for Preaching and Vision. Jason earned a Doctor of Ministries in Urban Missions from Westminster Theological Seminary. He also holds a BA in Pastoral Studies from Northland Baptist Bible College, an MA in Biblical Studies and an MDiv from Central Baptist Theological Seminary. His previous ministry experience includes serving as a youth/assistant pastor for nine years, a senior pastor for two years, and an adjunct professor at Central Baptist Theological Seminary and Northland Baptist Bible College.